Automattic and its public developer community have just released version 5.0 of the immensely popular WordPress CMS, with a bunch of new features centered around customizable content blocks – catching up at last to its rivals who have offered this for years now. At the heart of this new version is the content editor, which lets you insert all kinds of media in blocks, and adjust them so they’re displayed however you like: as horizontal banners, full-width images, or narrow sidebars. You can move these around a page to create the layout you want. 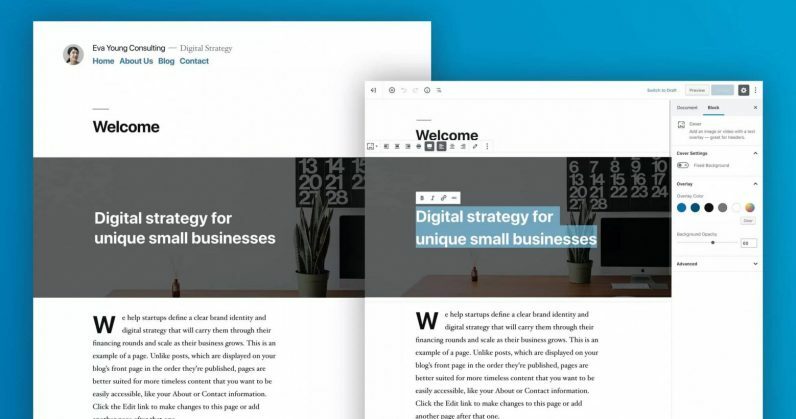 Plus, if you’re delivering a site design to a client who’ll maintain it on their own, you can create reusable blocks that retain your text and image styling so that newly created pages and content have a consistent look. There’s also a new default theme called Twenty Nineteen, which takes advantage of the new block-based content editor to show you what the CMS is capable of. And in case you don’t care for the new editor, you can always switch to the old one by using the Classic Editor plugin. You can download the latest version of WordPress on this page; if you’re already using the CMS, you can update your install from the Dashboard. Of course, you’ll want to back up your site before doing so.